Welcome to the second installment of the protein blog. In the first part, I discussed what protein is, some protein myths, ways to increase your protein absorption, and how to get it on a whole foods plant based diet. You can also get a 1-day 90+ grams of plant-based protein meal plan there too. In Part 2, I will explore the issue of raw vegan protein. This post will discuss whether you can become deficient long term. I’ll also give you some tips on increasing your body’s ability to absorb protein – a critical key to getting enough protein that is even more important to how much you eat. Can you Become Protein Deficient on a Long-Term Raw Food Diet? While protein abounds in plant foods, it is much less digestible than animal protein. The difference between animal and plant protein is in the amino acid profiles, which direct the rates of absorption of amino acids in the body. Animal protein are used more rapidly than plant protein because they are so similar to humans. This means it is best to eat a higher quantity of raw vegan foods to attain the protein your body needs. Fruits are between 4 and 8% of calories from protein, and non-sweet fruits also contain protein. Veggies also have protein, but in smaller amounts. 1 medium nectarine, for example, has 1.5 grams of protein. Leafy greens are about 20-40% protein. 2 cups of kale, for example, have 4 grams of protein, and a head of lettuce has 5 grams. 2 large bunches of greens will give you between 15 and 20 grams of protein. Nuts and seeds are also packed with protein. For example, ¼ cup of sunflower seeds has 7.3 grams of protein. Hemp seeds are 22% protein. Other amazing sources of protein on a raw vegan diet include mushrooms and sprouts, which have 20 to 34% protein. There are a whopping 10.6 grams of protein per half cup of pea sprouts! Spirulina, an algae, is 68% protein, and is highly recommended for athletes. 1 tablespoon has 4 grams of protein! 2. Can you Become Protein Deficient on a Long-Term Raw Food Diet? If you are consuming an oil free calorie-sufficient raw vegan diet, you should most likely not have protein deficiencies. Low-fat raw vegan diets require lots of movement and exercise so that a higher number of calories can be consumed, allowing you to get all of your nutrients from plant foods. The essential amino acids methionine (found in Brazil nuts) and lysine (found plentifully in sprouted fenugreek seeds) are found in lower amounts in raw vegan diets. Try to consume 2 tablespoons of sprouted fenugreek seeds a few times per week (in 5.5 tablespoons, there is 1043 mg of lysine, and the RDA is about 2,400 mg). To get your methionine, make sure to eat a few soaked Brazil nuts daily. Your ability to gain protein sufficiency depends on your ability to absorb protein. You need enough enzymes and HCL in your stomach to break down protein into amino acids. (See part 1 here to learn more about those). If your digestion is not efficient enough, you can eat all the protein you want and still not absorb it well enough, meaning you may end up deficient. Some symptoms of protein deficiency include hair loss or changes in hair texture, slow healing time for small cuts, tiredness, loss of muscle, frequent colds, difficulty sleeping, dizziness, and breaking or brittle nails. If you suspect that you have a protein deficiency, get a blood test and find out. This one gets a special mention. And no, I am not talking about hemp protein powder. Hemp seeds have a similar amount of protein (by weight) to beef and lamb. 2-3 tablespoons have 11 grams of protein, and they contain all essential amino acids. Yes, they even contain lysine and methionine, and their digestibility is very high. It is a great idea for raw vegans to consume hemp seeds daily. Bioavailability (or how much you can absorb) of protein is impacted by the fiber in a plant’s cell wall. Protein in most whole plant foods is less bioavailable (between 75% to 92%). However, you can use certain techniques to make it more available: soaking and sprouting. 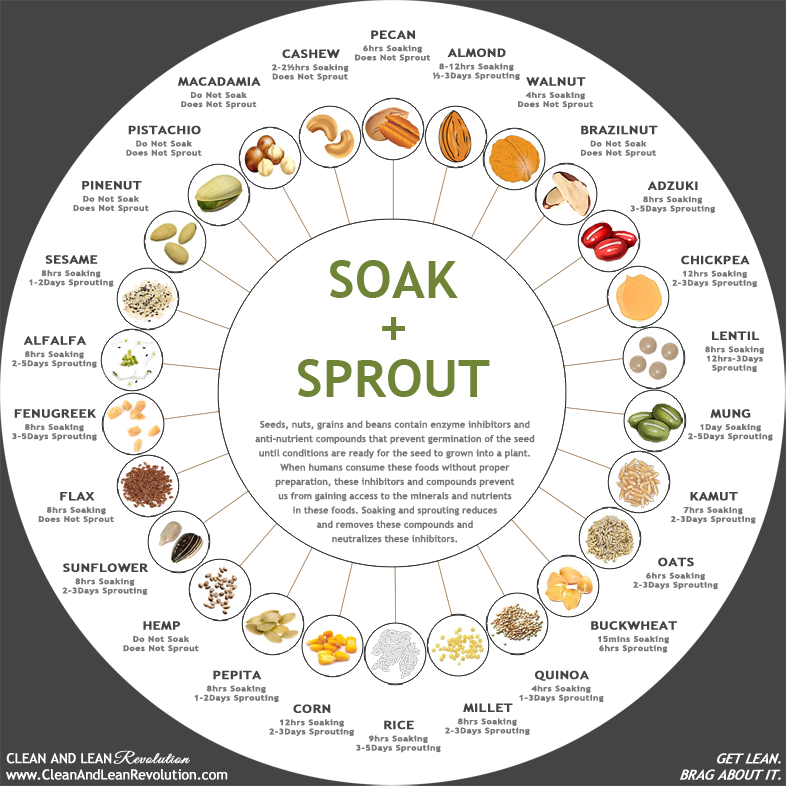 Soaking and sprouting legumes, grains, nuts, and seeds starts the breakdown of their protein, making it more absorbable for the body, both when you eat them raw or cooked. This breakdown means that their proteins split into shorter chains of amino acids, beginning the digestion process. For example, soaking raw peas for 6 hours increases their digestibility by 8%, and soaking them for 18 hours increases it by 31%. The soaking process activates plant enzymes, beginning the protein breakdown. When you soak, you destruct the phytates and trypsin inhibitors that limit digestion of those plants. Sprouting increases digestibility even more, and also removes the compounds that cause flatulence from beans! Sprouting increases the amounts of essential amino acids like lysine. Soaking just means placing your nuts, seeds, grains, and legumes in a bowl of fresh filtered water for a certain amount of time. Each one requires a different amount of time, and you can see the times here. Sprouting is what you do after you finish soaking. Take the seeds/nuts/grans/legumes out of the water, wash them, and place in a jar. Make sure there is an air flow in the jar. The best thing to do is to place the jar tilted on a dish drying wrack. Wash them every few hours (about 5 times per day), and place back in the jar. You can cover the jar with a cheesecloth – something that will allow air flow. After 2-3 days the sprouts should be ready (you will see small tails come out), and you can place them in the sun to get a beautiful green color. When they turn green, consume! Plant foods are rich in protein, but the protein they contain is more difficult for your body to digest than animal protein. To get enough, you must consume a great variety of plant foods. Yes, there is a chance you could become protein deficient on a raw vegan diet. A raw vegan diet tens to be low on the amino acids methionine and lysine. If you are feeling any general ill health symptoms, get an amino acid panel done. Soaking and sprouting are great strategies to increase protein absorbability, which matters even more than how much protein you consume.